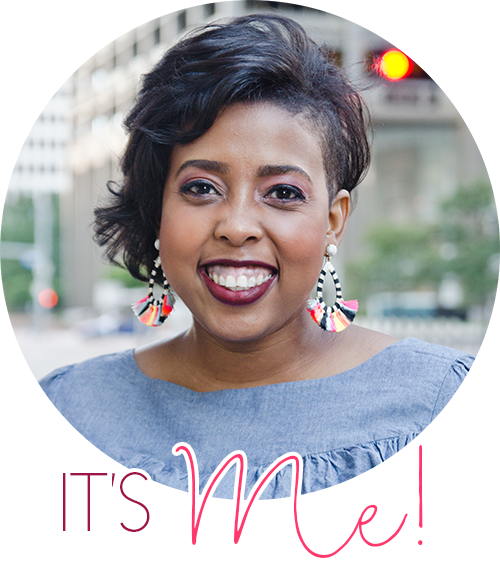 I have been so busy with the start of school, I've neglected this blog of mine. But today I wanted to share some great books with you. 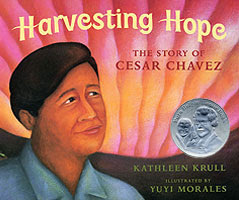 Today, October 15th, is the last day of National Hispanic Heritage Month and I have some great books for you to integrate into your classroom library. I love this story! It's a great counting book and sneaky story about a skeleton who comes to take a woman to the afterlife. You would need to have some background conversations about death for students to comprehend why the trick was successful. 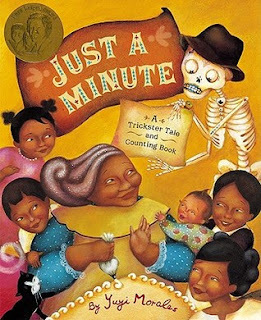 This book would be a great conversation starter for a class discussing Dia de los Muertos. To say I love this book is an understatement. I LOVE this story. 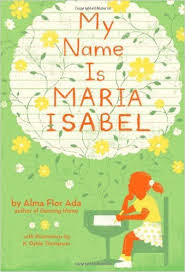 It is about a little girl named Maria Isabel who struggles letting her teacher know the importance of her name. It would be a great book to use as a read aloud in the beginning of the school year as students start to discuss their identity, their families, and their names. Another book I can not say enough about. 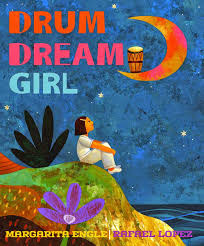 Drum Dream Girl is the true story of a little girl growing up in Cuba. She wants to be a drummer, like so many of the talented musicians she sees in her country. But she is constantly told no, drumming is for boys only. This story is beautifully illustrated and tells a very important story with a very powerful message. In full disclosure, I have yet to read this book. BUT, I think it would be a great addition to any classroom. 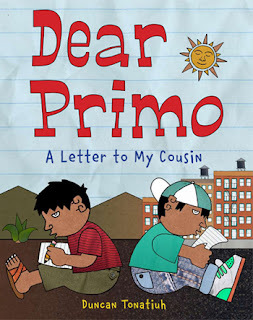 This book is about a boy in America who writes letters to his cousin who lives in Mexico. The two boys write back and forth to one another, comparing their lives. 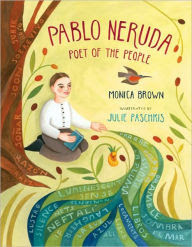 The text is sprinkled with Spanish and provides a wonderful point of view, not normally seen. It would pair very nicely with the story, Same, Same but different. I would also use this book as mentor text before teaching letter writing to my students. It is currently on my wishlist! 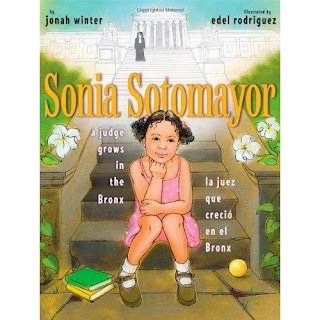 Sonia Sotomayor: A judge grows in the Bronx by Jonah Winter I just ordered this book through Scholastic Reading Club! Scholastic has recently teamed up with We Need Diverse Books, and is now offering a wider range of diverse books. 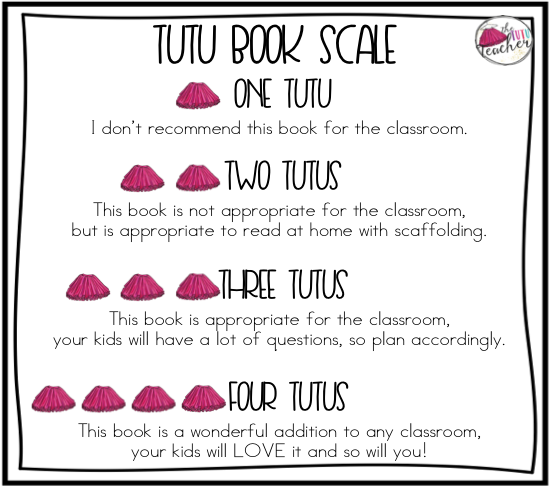 If you are wondering how you can order a catalog for your classroom, please check out my short tutorial here. I was so excited to order this book because not only does it show a woman in a powerful, important position, not only is this woman from a minority population but the books is written in both English and Spanish!! And just look at that cover!! So powerful. I first read this book when I was working on my masters' degree. I have never stopped loving this story. There aren't enough words to express how much I love ANYTHING written by Pam Muñoz Ryan. If you haven't read any of her books, you could literally close your eyes, and grab one and fall in love. 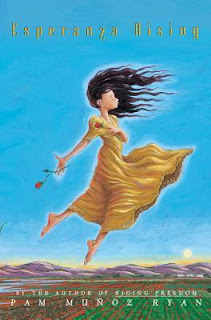 Esperanza is a young girl who grew up in Mexico, but her family has to move to California, during the Great Depression. There are some tough issues to discuss and some historical background information would need to be previewed before and during reading of this book. But, it is so worth it. This book is better suited for 5th- middle school. 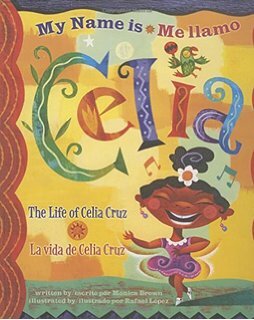 My Name is Celia: The Life of Celia Crus written by Monica Brown The illustrations in this book instantly captivate me. They are so vibrant and beautiful. If you are unsure of who Celia Cruz is and her impact on the music industry...please Google her and come back to this post. Did you see it? All the awesome? I remember my mother playing Celia's songs when I was a child, and dancing around out house. Her music is powerful, but so is her story. This book is also in English and Spanish! 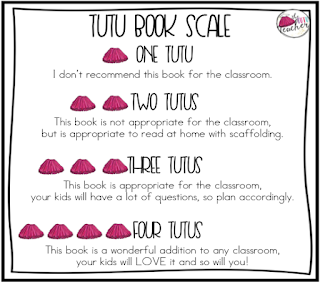 This is another book that I do not yet own, but knew I needed to add to our classroom collection as soon as I saw it. This book tells the story of Neftalí, Chilean author and Nobel Prize winner. It is a great book to help children see that telling their story is important and that stories can be told in many different ways. I can't wait to read this book! Again, another story full of captivating illustrations. 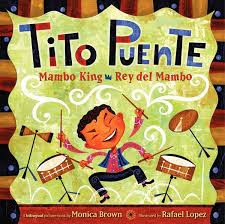 The story of Tito Puente told by Monica Brown tells of a young boy who truly "felt the music" from a young age. I would use this story with Drum Dream Girl to talk about gender roles and why Tito was encouraged to follow his dreams, but Millo was not. The book is full of onomatopoeia and would be a great mentor text when teaching students how to color their writing with sound words. This book is such a great story of a great great great man. What I love about this book is not only the historically importance, but it is a conversation starter about the importance of social justice. This is a great mentor text to use when having conversations with students about working hard for what's right and standing up for others. 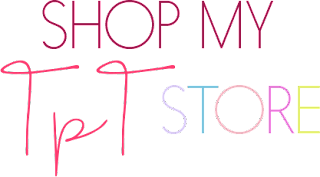 I could go on and on and on about these wonderful books! Do you have any great suggestions? Leave a comment. Thanks for sharing this wonderful selection of books!